I hate to say it, but I had a major cooking fail yesterday. I was making a frittata for the blog and it just did not work out at all. It’s a long story involving me not realizing you can’t put teflon pans in the oven and instead trying to flip the frittata and getting it all over the place. Whoops! Oh well. It still tasted good! 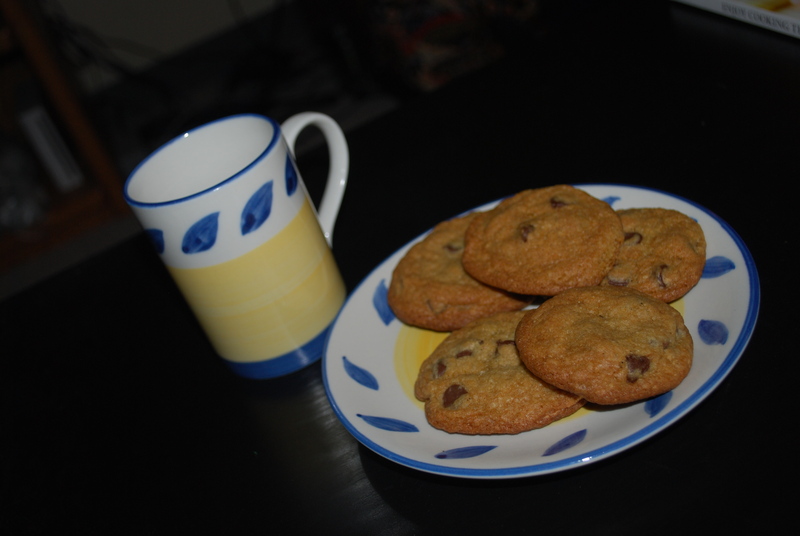 To make up for my absence the last few days, I have a delicious cookie recipe for you! Have you ever stayed at a DoubleTree Hotel and had their cookies? I have not, but apparently they are delicious. 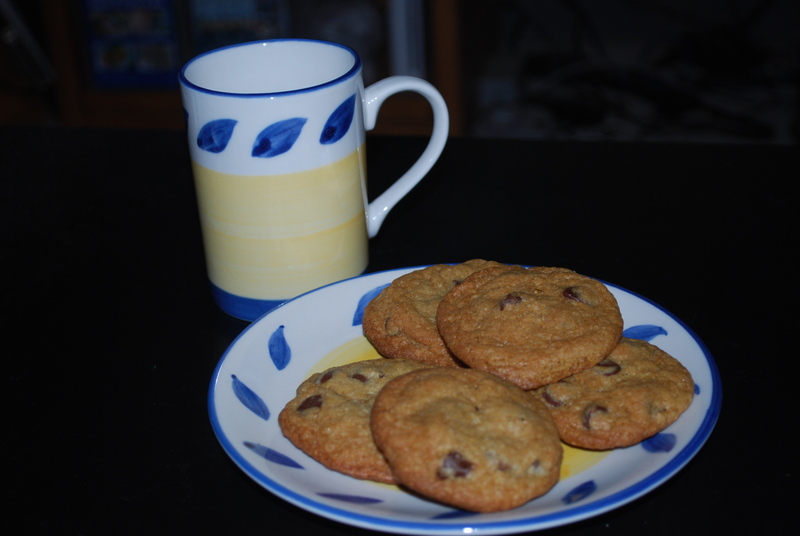 A while ago I found a couple “copycat” recipes for their famous Chocolate Chip Cookies so I thought I’d give it a go. My oh my they are scrumptious! Perfectly crisp yet still chewy and there’s a secret ingredient that gives them a wonderful texture. 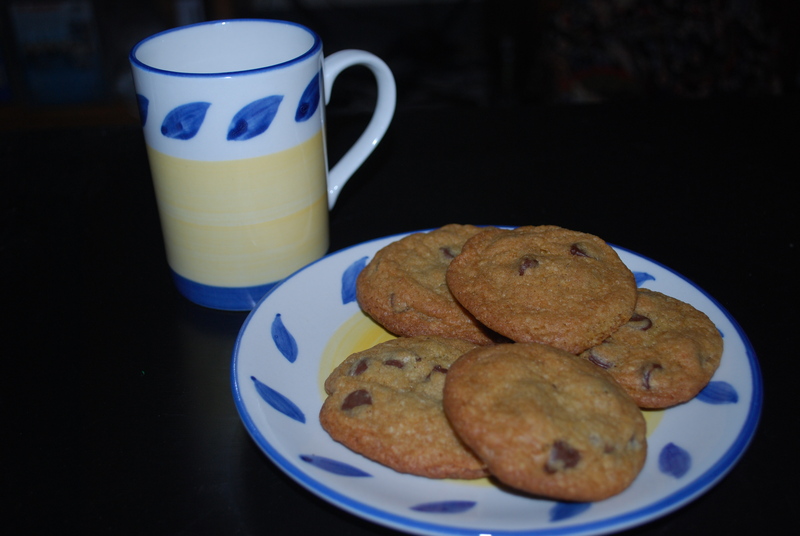 I can’t exactly call my recipe a copycat recipe like the others since I’ve never actually had the original DoubleTree cookies and have no idea how similar they taste. 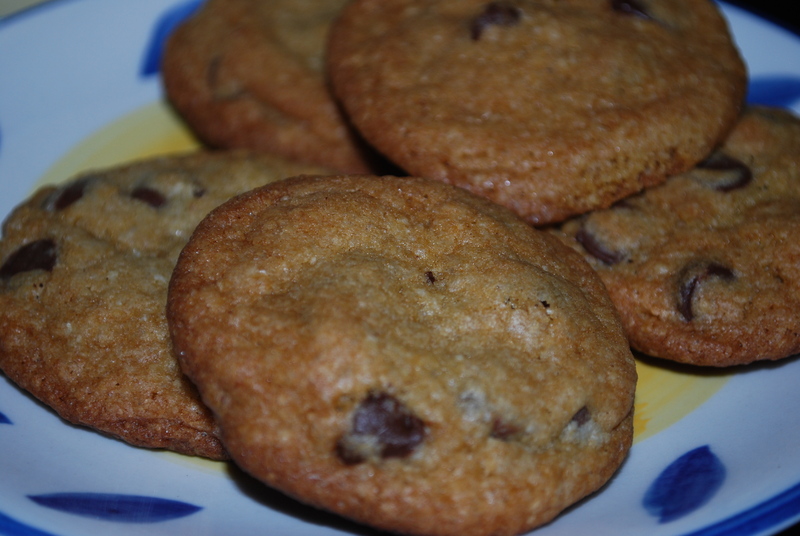 Instead, I’ve decided to call them DoubleTree-Inspired Chocolate Chip Cookies. Start with the dry ingredients. 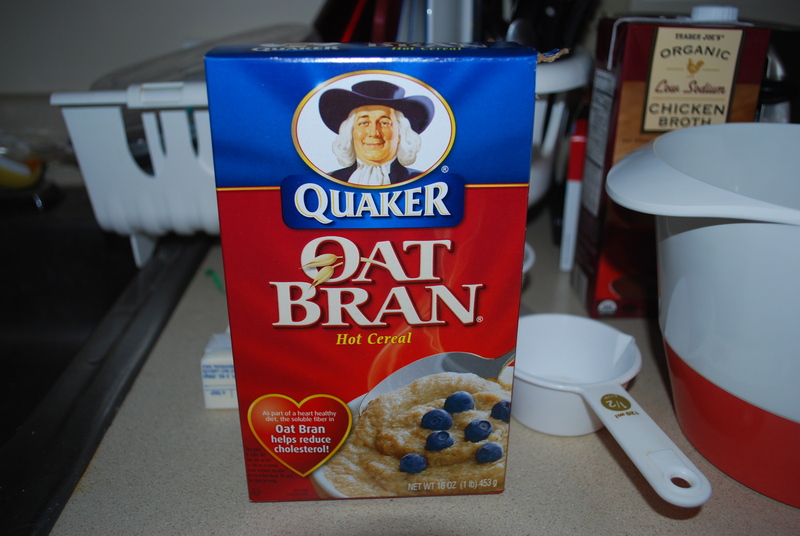 Combine 1/2 cup oat bran (the secret ingredient! 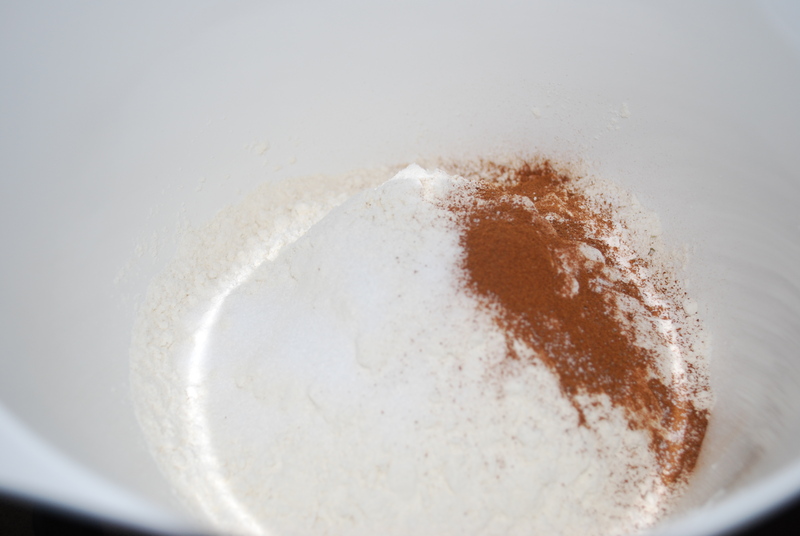 ), 2-1/4 cups all purpose flour, 1-1/2 teaspoons baking soda, 1 teaspoon salt, and 1/4 teaspoon cinnamon. Set aside for the time being. 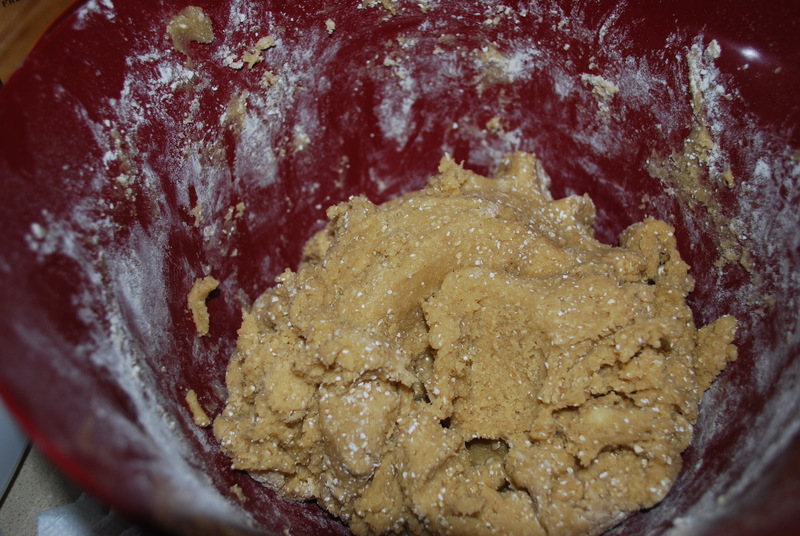 Next, cream together 1 cup unsalted room temperature butter, 3/4 cup brown sugar, 3/4 cup granulated sugar, 1-1/2 teaspoons vanilla extract, and 1/2 teaspoon lemon juice until mixture is light and fluffy. Add in 2 eggs and beat until smooth. Add in the dry ingredients little by little, mixing well. Pour in 3 cups semi-sweet chocolate chips and mix together. Line a baking sheet with parchment paper and begin placing the dough on the sheets. 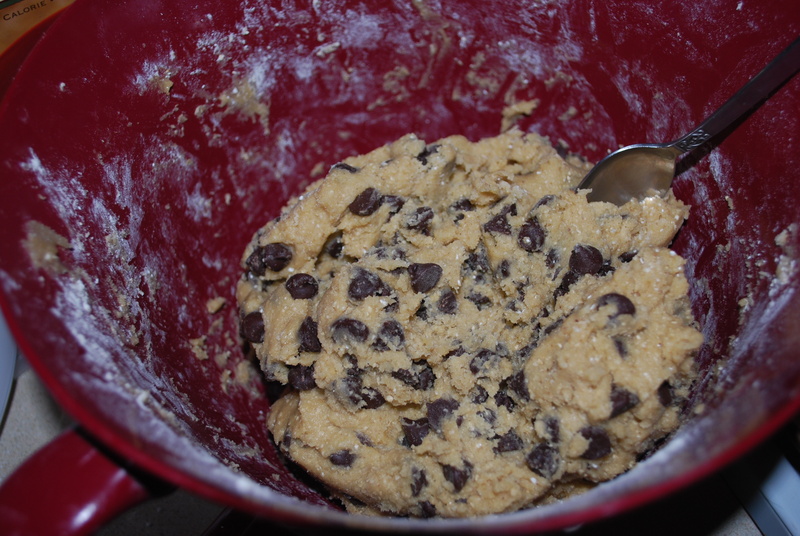 If you would like large cookies, drop 2 tablespoonfuls of dough onto the sheets. 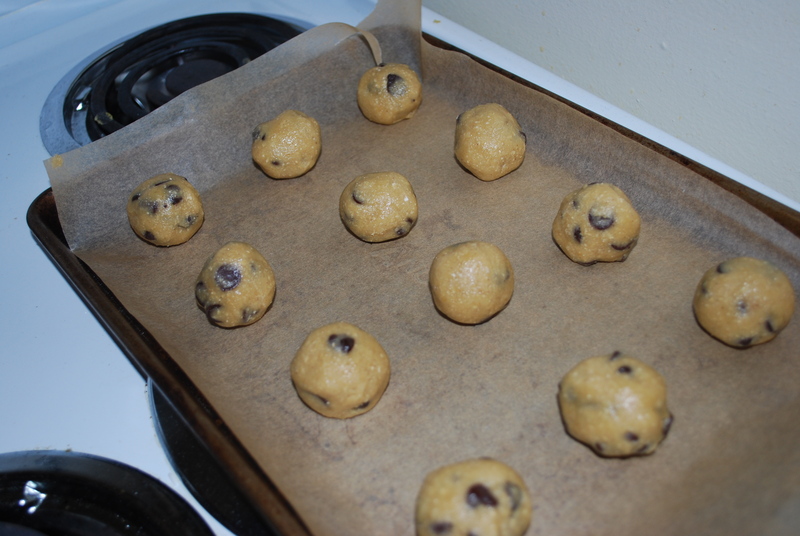 If you would like smaller cookies, drop 1 tablespoonfuls of dough onto the sheets. 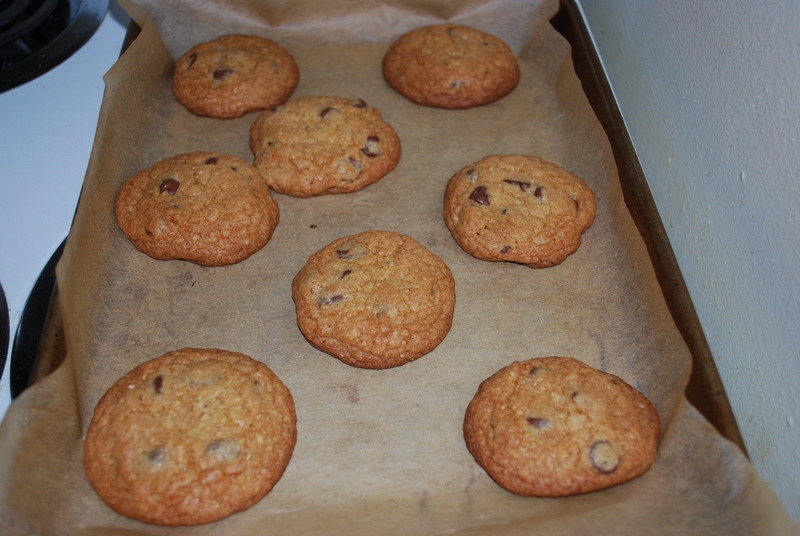 Bake in a 350 degree oven for 12-14 minutes for large cookies or 10-12 minutes for small cookies. When cookies and golden brown around the edges, take them out of the oven and let them sit for a couple minutes before removing them to a cooling rack. Store the cookies in an airtight container to keep them soft. These are sooooooo addicting!! I can’t keep my hands off them! Preheat oven to 350 degrees. In a medium bowl, combine oat bran, flour, baking soda, salt, and cinnamon, then set aside. Cream together butter, sugars, vanilla extract, and lemon juice until light and fluffy. Add eggs and beat until smooth. Add dry ingredients to wet ingredients little by little and mix well. Pour in chocolate chips and stir until combined. For small cookies: scoop rounded 1 Tablespoon portions of cookie dough on parchment paper lined baking sheets, then bake for 10-12 minutes, or until golden brown around the edges. 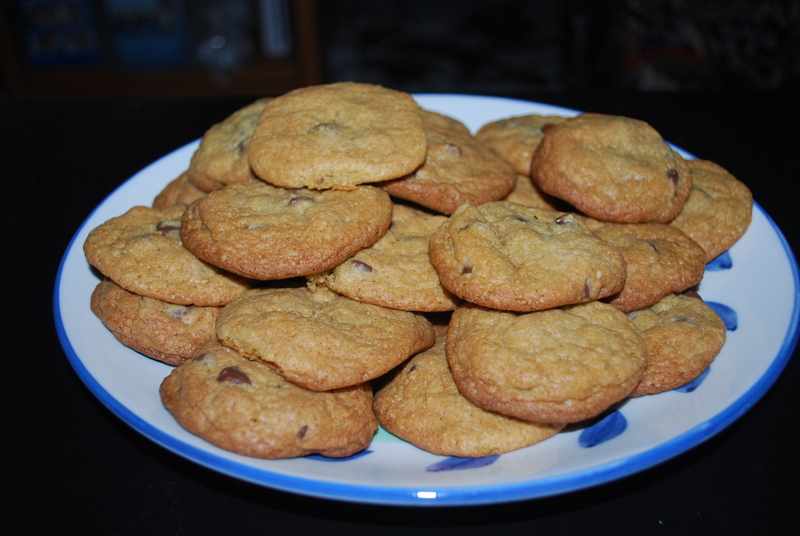 For large cookies: scoop rounded 2 Tablespoon portions of cookie dough, and bake for 12-14 minutes. Let cookies sit a couple minutes before removing to a cooling rack. Store the cookies in an airtight container. 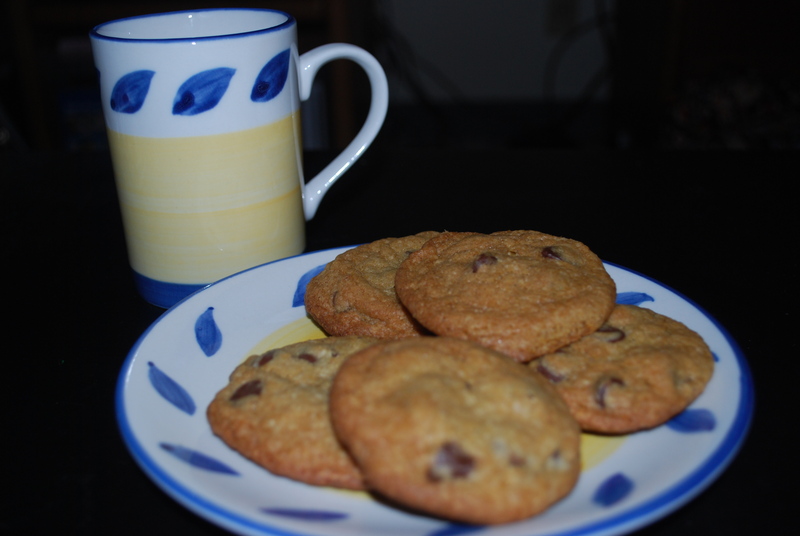 This entry was posted in Desserts and tagged chocolate chip, cookies, crispy, DoubleTree. Bookmark the permalink.